Are you wondering how to get a scholarship for college? Interested in learning how to get a full ride scholarship to college? Learn how to get a scholarship for college or how to win multiple scholarships to college or even what it takes for a full ride scholarship to college from Marianne Ragins, $400,000 scholarship winner and bestselling author. One of the best ways to understand her strategies is to register for an online class and learn first-hand from Marianne in a live webinar or online boot camp how to get a scholarship for college or how to win a full ride scholarship to college. Marianne has not only been a scholarship winner but has coached hundreds of students in strategies to help them learn how to get a scholarship for college and win it!!! Not only that, Marianne has also been on scholarship committees determining the winners of college scholarships and she can help students learn how to stand out amongst a crowd of other students hoping to get a scholarship to pay for college and minimize debt. Are you a nontraditional or an adult student? Marianne has also helped adult students get a scholarship for college. Or do you consider yourself a nontraditional student? If so, Marianne can also help nontraditional students get a scholarship for college. She has special webinars designed to help an adult get a scholarship for college and also to help a nontraditional student get a scholarship for college to minimize student loans and avoid debt. Register for a webinar today! Marianne conducts the following webinars, boot camps and online classes. Register today! The online scholarship classes listed on this page are web-based or teleclass versions of The Scholarship Workshop presentation conducted by Marianne Ragins, $400,000 scholarship winner. The online scholarship classes listed cover some of the most important and least understood areas of the scholarship search and include strategies for winning scholarships. If you are interested in attending The Scholarship Workshop presentation but do not live in an area where a presentation is currently being held with a live audience, then you should attend one of the online scholarship classes listed above. Attendance at any of these online scholarship classes will qualify you for the Ragins/Braswell National Scholarship. Or you can get specialized help for writing scholarship and college essays, turbo charging your résumé and preparing for scholarship and college interviews, or minimizing college costs and student loans by joining Marianne, $400,000 scholarship winner, for one of our online sessions designed to help you in the areas you need help most. If you can’t write an essay or don’t understand which activities have the most impact and should be highlighted in your résumé, you could be hurting your scholarship chances. The specialized webinars are a great add-on to The Scholarship Workshop presentation teleclass, web-based class, or live class. Or they can be taken alone if you understand other areas of the scholarship process well. See this page for more information about the 60 minute webinars. You can also get more intensive help with one of our boot camps. 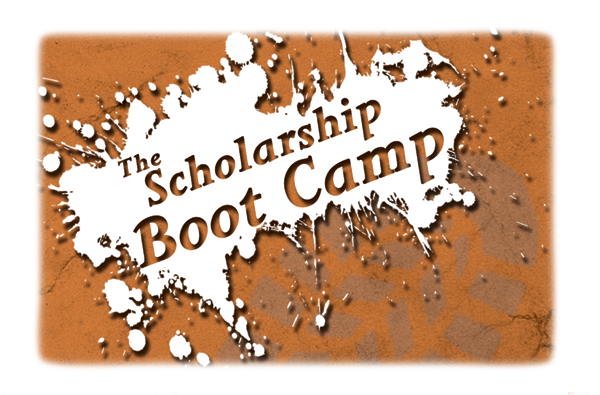 The Scholarship Boot Camp and The Scholarship and College Essay Writing Boot Camp are great options.